Updated: 10/4/2017: Please note that the Swiffy Flash conversion tool as described in this post is no longer available. Therefore the procedure described below will no longer work. My apologies! You may want to check out this article for an alternative to Swiffy; however, I have not tried it and cannot comment as to its effectiveness. This post originally explained how to convert Flash to HTML5 using the Google online tool, Swiffy. However, Swiffy has been discontinued so this post is now outdated. Plagued by security issues and poor performance, Flash has finally met it’s demise for good reason. Although Adobe attempted to fix these vulnerabilities, Google and Mozilla have ended support for the plugin on their browsers. But advertisers who have been holding on are being forced to rethink their strategies now that Chrome and Firefox are blocking Flash-based ads. On September 1 Google announced it would no longer support Flash advertising. What this means for advertisers is that their Flash ads would remain frozen, requiring a user the extra step to click to play it. But beyond advertising roughly 10% of websites are running Flash-based components. This includes sites using animated logos and website sliders. We support a few of these sites here as well and have been working to convert Flash to HTML5 on affected sites. After researching the issue, we’ve come up with a process that has worked for us and wanted to share it with our readers. 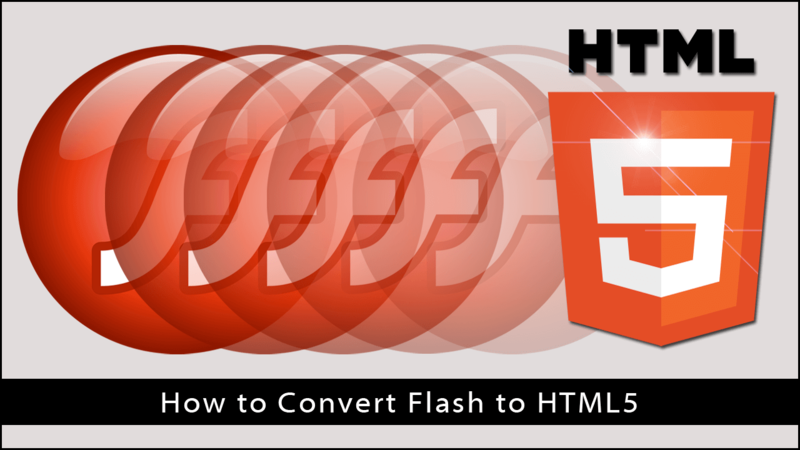 After reading through this post, you should be able to take a simple Flash animation and convert Flash to HTML5 by following our steps. While this may seem like a complicated task, there are just a few steps required to do so. So let’s start by looking at an online tool we used. That tool is Swiffy, and it was created by Google developers. Swiffy is an online tool that converts Flash to HTML5. 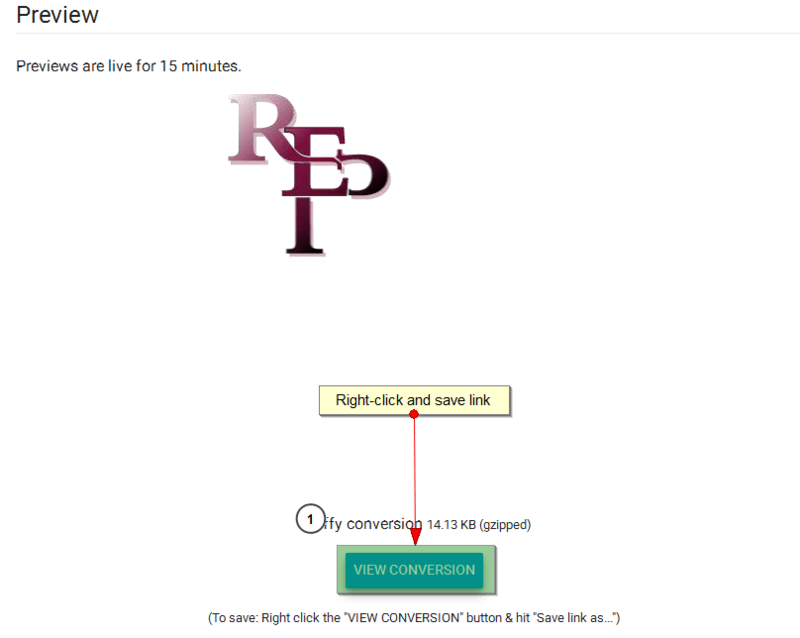 All you need to do is upload your SWF file, and Swiffy will create a download link with your converted HTML5 file. That HTML5 file can then be used to replace Flash files as needed. As a disclaimer, I’m not sure how well this tool will work for complex Flash animations. You might want to do some further reading here. But for the purposes of our need, Swiffy worked just fine. In this post, we’ll take a look at a client website that needed a Flash logo file replaced. Using Swiffy, I was able to convert the logo SWF file to HTML5 for our client’s mobile website. This particular website is using the Genesis framework with a child theme. So all code instructions are relevant for our particular environment and the Genesis WordPress theme. Your website theme may be slightly different, so be sure to backup your website before modifying functions.php or any other relevant files. In fact, you should consider using a child theme so that anytime your WordPress theme is updated you will not lose your changes. In your browser bar, navigate to the Swiffy tool and click the browse button to upload your Flash (SWF) file from your computer. At this point, your file will be converted and you will see the animated HTML5 as a live preview. The live preview is only available for 15 minutes, so make sure you download the code within that time frame. Otherwise, you will need to start the process all over again. Once the file is downloaded, open it in a text editor such as Notepad++ and copy all of the script content from swiffyobject to just before the closing </script> tag. Don’t worry about trying to understand the code as it really seems like a bunch of gobbledygook and you don’t need to understand the code at all to convert Flash to HTML5. Next, we needed to register and enqueue runtime.js and dagaonce.js in the child theme’s functions.php. The code was now ready to be used in the WordPress theme. You can grab the swiffycontainer code from the converted HTML5 file. You’ll find this code at the bottom of the file and can copy and paste where needed in your website. You might need to tweak the code or apply some CSS to fit your website. You can see an example of the completed mobile site here. Register and enqueue runtime.js and your new swiffyobject js. Place the code where needed on your website. I do hope this has been helpful to you. Please post any questions or comments below and I’ll be happy to help. Michelle, this is just what I’ve been looking for! I am redesigning a website for a client that has a flash presentation of how their product works. Thank you for taking the leg work out for me to converting it to HTML5! I’m so glad you found this tutorial useful, Robin! I’ve only had a few simple animations to convert, and Swiffy worked great for them. Thanks for letting me know, and I hope this works well for your websites, too.